Mrs Marshall and Mrs Majdak welcome you to Amethyst Class. 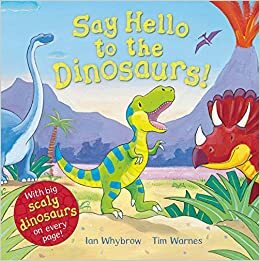 This half-term we will be learning about dinosaurs. We will be learning the names of the dinosaurs, comparing and describing them. We will be sharing information books and stories, using them create our own stories as well as learning lots of new words. Amethyst class were fantastic performing their first class assembly this morning. They had lovely big voices so everyone could hear them, and remembered all of their words and actions. We are all very proud of them and they have motivated the whole school with their enthusiasm and confidence. Well done, you were brilliant!! We looked at a picture of a boy sitting with a dinosaur. We talked about what it would be like to have dinosaurs alive now. We have had a busy few weeks learning about dinosaurs. We have shared stories and enjoyed learning new words, such as herbivore, extinct and palaeontologyst. This week we have been learning about the story of Jack and the Beanstalk. We drew a story map and then changed it to make our own story about Goldilock eating a magic pizza. Next week we are going to be learning about the story Cinderella. This week we have been learning about the story of Hansel and Gretel. We acted the story on our Story Stage. The children were great at pretending to be the characters. We had great fun in Forest School this week, even though it was raining. We rubbed our hands in the mud and even put it on our faces to be monsters! I love playing witht the cars because they are fast. Nathan. 15th Feb am- Whole school 'Dance share'- Amethyst class will be performing, families welcome to attend.